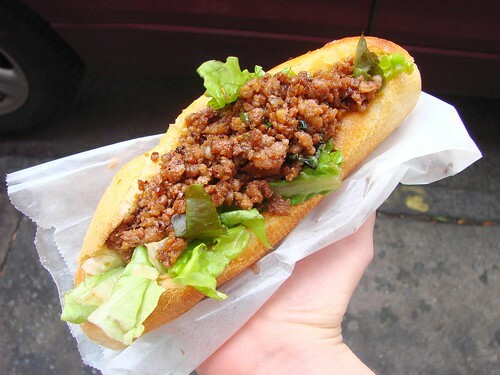 Served up on a toasty baguette this spicy ground pork sub had lovely crispy bit of Thai basil. Intensely satisfying, this is a steal for $5. They also serve up Thai Omelet and Chicken Panang sandwiches, the former includes ground pork, egg and shrimp, delicious, if a bit messy. On my last visit these sandwiches hadn't made it to the printed takeout menu, but I've been able to order them to go without a problem. 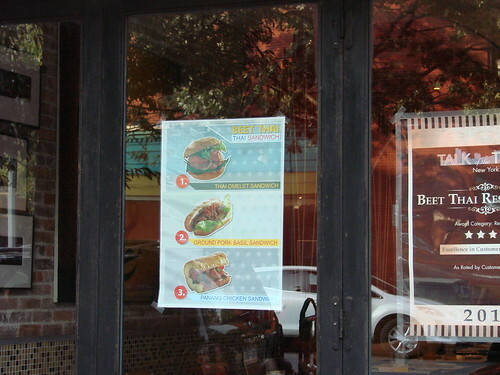 it's like someone just infiltrated my deepest desire and turned it into a real, live sandwich. i HAVE to go there! !